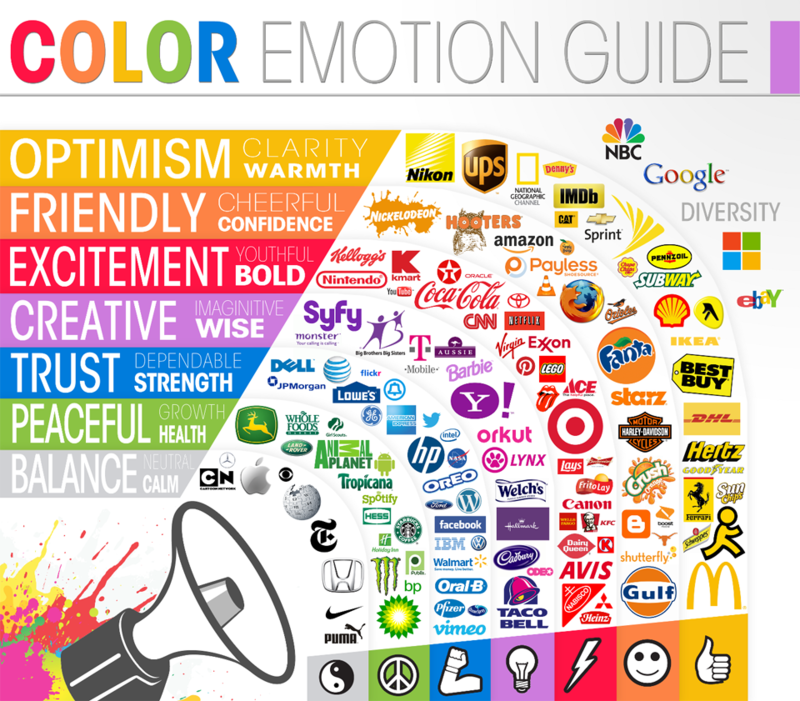 This infographic from Logo Company, a logo design firm, helps clearly illustrate what emotions are invoked by certain colors using the logos from top brands as an example. Psychologists have studied how people are affected by colors for years and found a strong correlation between colors and emotional responses, further driving home the point that choosing the right color is crucial in determining how your brand is viewed. For example, restaurants like McDonalds, Pizza Hut, KFC, Wendy's and Popeyes use red in their logos to stimulate hunger. Black, white, silver and gold are often used in the logos of luxury brands like Chanel, Prada, Michael Kors and others to enhance the feeling of sophistication. When it comes to designing a logo for your business, let this be a guide for the direction of your color palette. What four emotions do you wish to convey when someone thinks of your brand or sees your logo? Write these down and see where they fall in this color wheel of emotions. Remember, this is only one of many aspects of the logo design process to take into account. What colors do you associate with certain emotions? Give us your take in the comments below.